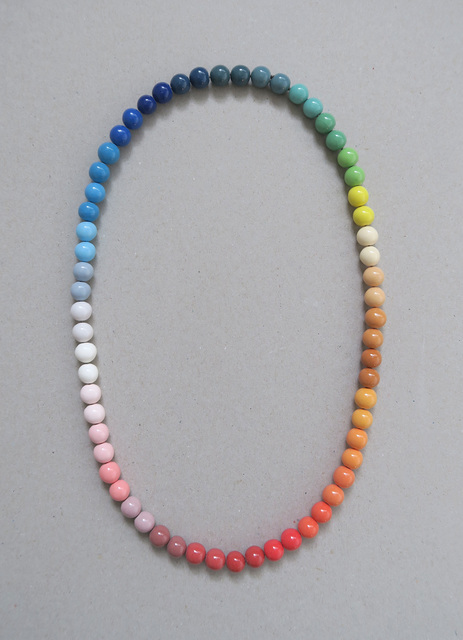 Gallery S O is pleased to present a new body of work by contemporary jeweller Manon van Kouswijk. 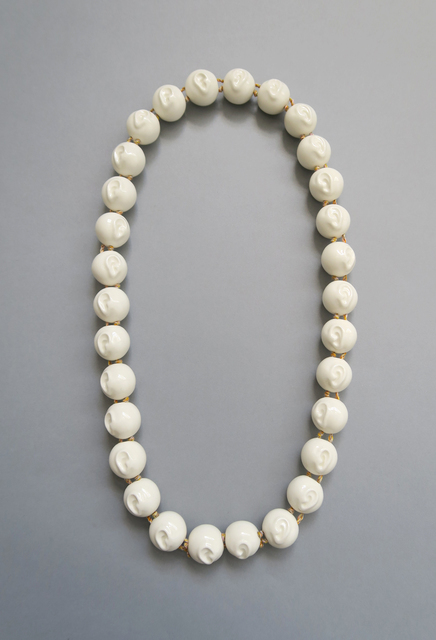 The exhibition compromises 50 beaded necklaces along with other porcelain pieces and her newly published book MAKING FACES – A Jewellery Playbook. 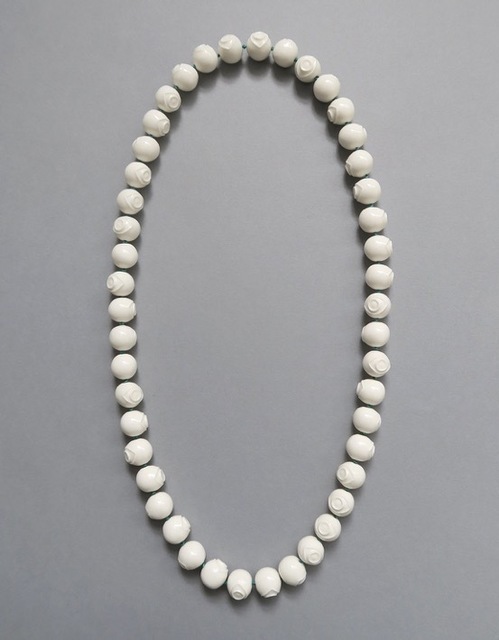 Van Kouswijk is interested in the universal qualities of jewellery and other personal objects, the value and meaning they represent and the different roles they have in exchanges between people as gifts, souvenirs and heirlooms. In her work she makes aspects of the way we use and handle things visible in the objects themselves. 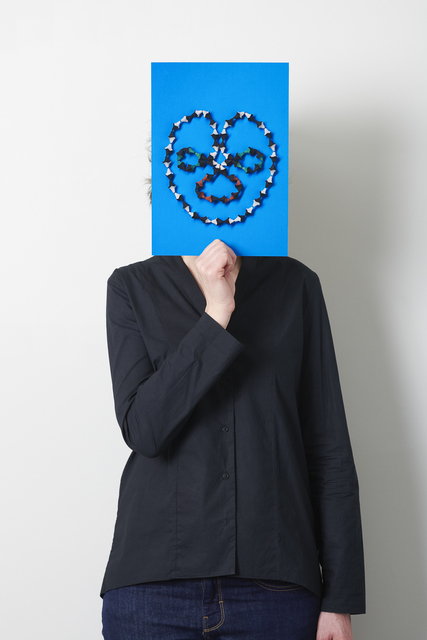 Often involving playfully the viewer and wearer to interact with the jewellery: MAKING FACES is a series of necklaces made of plastic and porcelain that are activated by The Jewellery Playbook, a publication in which their multiple appearances are revealed. Her approach to making is multidisciplinary: an integral aspect of her practice is framing and contextualising her works through the making of exhibitions and artist publications. 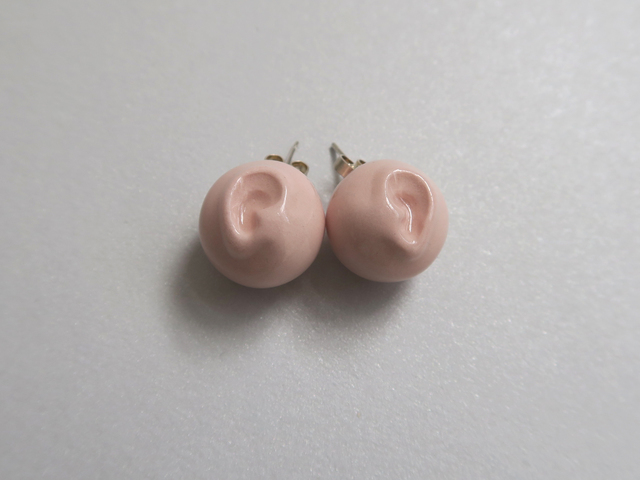 Working in collaboration with photographers, graphic designers and writers she places her jewellery and object-based works in a broader context that shows how these are worn, used and displayed in everyday life. 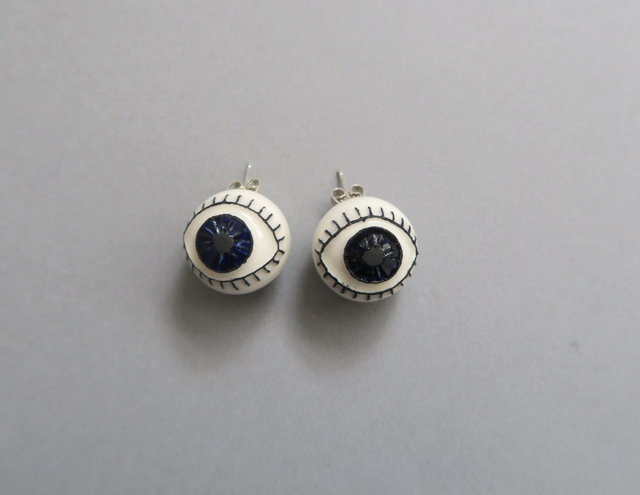 After being trained as a goldsmith, Manon van Kouswijk studied art and jewellery at the Gerrit Rietveld Academy in Amsterdam, where she worked later on as Head of the Jewellery Department from 2007-2010. 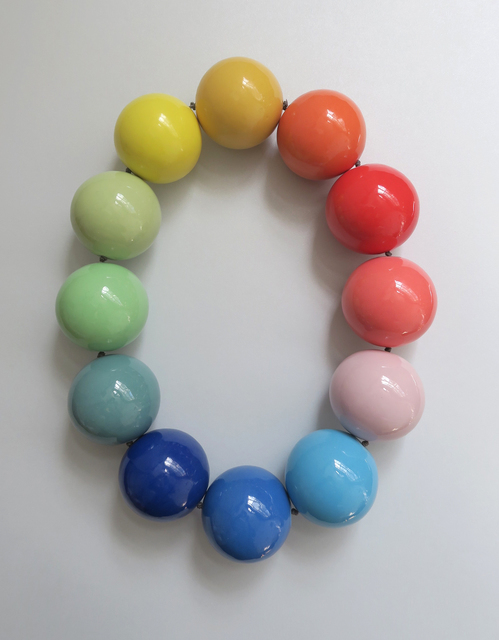 In 2010 she relocated to Melbourne, Australia, where she has set up her studio and is currently working as coordinator of the Jewellery Studio and Lecturer at Monash University Faculty of Art & Design. Her work is exhibited in galleries and museums around the world, as well as being part of private and public collections.